Many healthcare institutions around the world have moved to full digitization, including digital processes, channels and products. They have also adopted advanced analytics to enable new operating models. Patients becoming comfortable with the use of digital services and networks has partly driven this. Providers and payers who have adopted a digital strategy for healthcare are benefiting from the many advantages that it has to offer. Success for them is coming from understanding patients’ digital preferences in services and channels. Digital helps to increase the efficiency of established processes (medical or administrative), promote positive behavior related to health and to make therapeutic procedures and processes more effective. Digital innovations are offering cost efficiencies that are unprecedented and helping transform patient care. Advanced innovations have revolutionized the patient lifecycle at each stage through integrated digital healthcare solutions. More cost-efficient screening even for populations difficult to reach – Globally, there a number of factors restricting adequate healthcare access, including off-target programs for screening and disease prevention, low physician-to-patient ratio, inadequate infrastructure, limited expertise and long waiting times. Digital devices improve communication between primary, secondary or tertiary centers for healthcare, besides doctors. This minimizes error, reduces screening costs and makes screening possible even for populations difficult to reach. For example, digital images that have replaced X-ray, and are electronically sharable, enable more timely and accurate medical action. Remote self-assessment aids diagnostics – Often there is too long a gap between presentation of symptoms, physical exam, lab testing and analysis. This compromises the delivery of optimum healthcare services. However, patients can self-assess their condition remotely through digital solutions and ask for medical support when they need it. A new and more efficient healthcare environment is being enabled through instant counseling based on real time patient-doctor communication using mobile technologies. For example, patients use portable scanners to capture and upload images to the cloud and get notifications when medical assistance is in order. Electronic records make health data more accessible – Insufficient knowledge and information transfer is still an issue that healthcare professionals are dealing with worldwide. Related issues include a lack of platforms for molecular and clinical data integration across hospitals, lack of access to critical information and awareness of medical advances. Digital, wherever it has been applied, has empowered patients for making decisions regarding their treatment, while electronic patient records have made data more accessible. This has led to constant feedback loops between the patients, healthcare professionals and the community of medical experts. Digital connectivity is transforming the whole healthcare ecosystem in this way. For example, there are information management platforms that track medical data, along with environmental and behavioral factors. Doctors can see patients’ profiles and the effect of environmental and food habits, besides the likely effects of drugs. Digital helps with selection of treatment – Access to and understanding of medical information are vital for selection of treatment. During the process of deciding the treatment, case sharing, expert evaluations, referrals and physician experience sharing can help reach optimum decisions. Digital support helps improve accuracy of treatment. Doctors have access to cross-specialty knowledge and can keep up with medical practice developments. 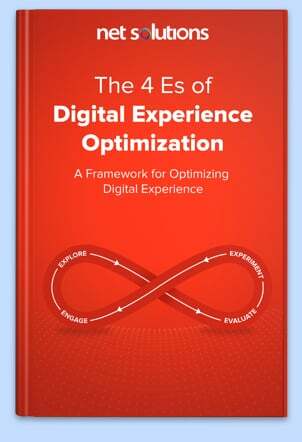 Digital also aids better care and personalization of treatment. For example, digital solutions offer support based on evidence for treatment decisions. These provide guidelines based on best practices and combine medical literature with patient data. The solutions are periodically updated as new data, treatments and techniques become available. Modern technology promotes adherence to therapy – A significant proportion of patients with chronic diseases don’t adhere to treatment. Some adjust medication on their own and others take wrong doses or don’t follow timings. This often results from inadequate education regarding healthcare, misconceptions or forgetfulness. Digital systems track physiological parameters and fundamental behaviors such as sleep and promote therapy adherence. These systems identify patients who don’t adhere to treatment and accordingly allocate interventions. The significance of the digital systems is even greater in populations such as HIV patients, where the therapy is resource intensive. For example, biometric patches with sensors help to assess medication response and to make adjustments on the basis of real time information. The patches track the patients’ performance and adherence to medication. Consistent monitoring is made easier by digital – Unnecessary costs often result from dependence on hospital admissions and clinic visits. On the other hand, lack of control of accurate treatment and inadequate monitoring can put the safety of patients at risk through adverse effect on treatment plans. Digital helps with consistent monitoring and lets healthcare professionals assess treatment response and performance. Adequate monitoring and treatment help to reduce hospital-related costs and improve quality of life. Patients have greater independence in managing the care for their conditions. For example, specific tracking software on mobile devices monitor inputs from pedometers, blood pressure monitors, etc. The data is transmitted to healthcare professionals through cloud platforms. Digitization simplifies continuous care of patients – This patient life cycle stage depends highly on both the patients and healthcare professionals collecting and communicating health indicators. Traditionally, this has been based on regular visits to the doctor, thus requiring time and expense in addition to inconvenience due to travel, especially in remote areas. Digitization has led to the automation of medical facilities through electronic healthcare based on mobile and the cloud. 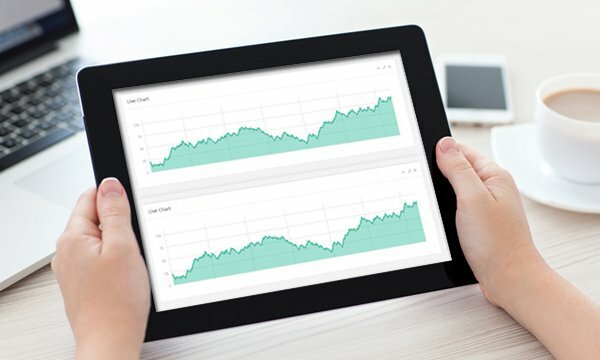 Analytics capabilities are incorporated and this facilitates continuous care. For example, in conditions such as cancer, healthcare professionals can provide timely attention based on remote monitoring of bioelectrical signals. Basic services for monitoring of health are now in the hands of patients instead of doctors. Patients track posture, heart rate, physical activity, skin temperature and respiratory rate, among other parameters, through mobile apps. Do-it-yourself health is helping prevent illness and revolutionizing treatment following diagnosis. Mobile apps are helping reimagine healthcare delivery in this way. Medical mobile apps have a prominent role in healthcare. Doctors view x-rays and track vital statistics and symptoms through the apps, among other uses. Apps for doctors are available in significant numbers on Apple’s App Store and on Google Play. Doctors take advantage of the increased flexibility in medical information access. However, the greater amount of information available can also lead to information overload. Several apps provide evidence-based information that is appraised according to the weight of available evidence, thus helping doctors make better decisions. Leading technology-based companies worldwide are developing digital healthcare applications. Users are increasingly adopting fitness trackers and these are becoming more functional and common. This is the most regular and accurate monitoring of the health activity of individuals ever. From biosensors to smart hearing aids, wearables are leading to lower healthcare costs and better data. Wearables are well past the early phase of adoption and quickly becoming an essential part of care. Patients benefit from wearables as the continuous data monitoring leads to early diagnosis and better treatment, besides prevention of serious conditions through precautionary action. Those with chronic diseases can manage their conditions better through home diagnostics. Physicians make better diagnosis through capture and analysis of data in real time. Hands-free information exchange during surgical procedures allows multitasking and greater efficiency. Doctors access training assistance anywhere and anytime through wearables. Health insurers prepare risk profiles and calculate plan costs using data from wearables. Better outcomes of treatment and less hospital visits due to use of wearables help decrease the number of claims as well as their costs. An ingestible sensor is swallowed by the patient in the form of a pill. The device is entirely made of edible ingredients and gets activated on ingestion. The pill is taken in addition to the medications prescribed and captures the exact ingestion time for tracking medication compliance. The human body’s fluids power the ingestible sensor. There is no antenna or battery. A chemical reaction of stomach fluids is the power source and activates the sensor. The sensor remains in the digestive system of the patient and provides information in real time about medicine response. The patient doesn’t have to undergo biopsies, x-ray exams, blood tests, etc., to find out whether a drug is suitable. After activation, the sensor communicates with a disposable patch worn on the body. The patch captures and transmits physiological behaviors and responses. It sends inputs to a mobile device from where the information is passed on to a secure data server, where doctors can access it. Ingestible sensors can prove especially useful for patients who require regular medication for chronic diseases. Apple’s Health app provides fitness and health data through a dashboard that users can read easily. 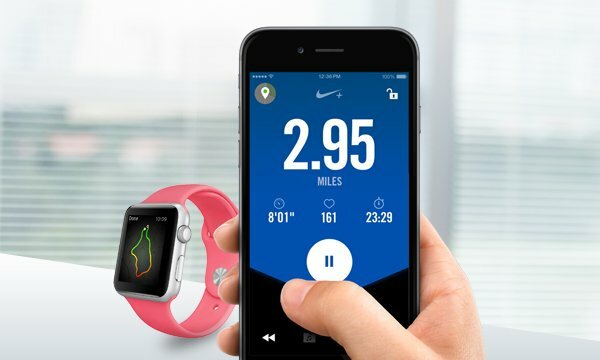 It is based on HealthKit that lets fitness and health apps to work together. Patients choose what data is shared between which of their health-related apps, through HealthKit, for better results through synergy. Hospitals and other healthcare establishments are incorporating HealthKit into their services. All iPhones with iOS8 have HealthKit preinstalled on them. ResearchKit is open source software aimed at expanding the information available for medical research. Participants in clinical trials submit their information through their iPhones and physicians access it in real time with ease. 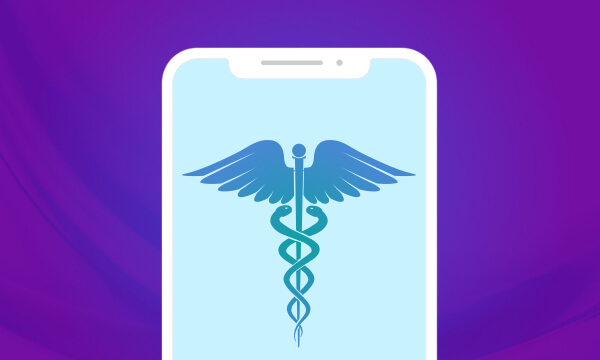 Patients use iPhone apps that are based on ResearchKit and leverage hardware such as accelerometers and the phone’s sensors. Doctors target tumors with greater precision using personalized replicas of cancerous body parts. Besides helping with creation of new drugs for cancer treatment, 3D printing helps create knee cartilage also. In the years to come, it is expected to help create a human liver that is fully functional. Dentists create some finished dental implants as well as replicas of teeth and jaws. Orthopedic surgeons are testing 3D printing to make customized replacements for hip and knee joints. In these ways, 3D printing increasingly helps develop technology driven healthcare solutions. Digital is impacting healthcare positively to make it more cost-efficient. Physicians are more effective because of the real time information digital places at their fingertips and people, in general, either prevent disease or manage it through constant monitoring using digital technology. The sharing of information between patients and doctors and between doctors has improved on account of digital. 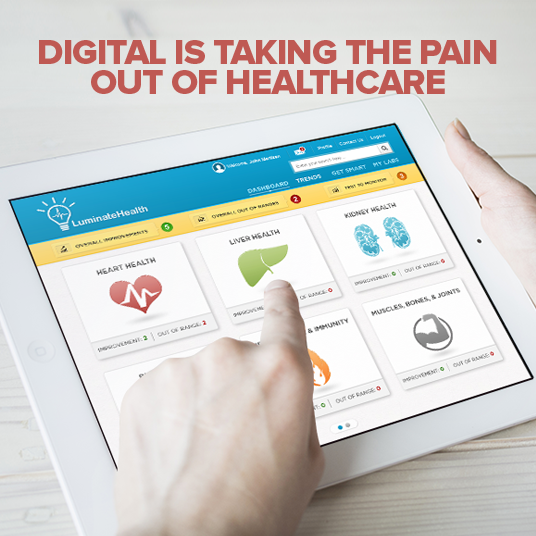 Have you thought about how to reimagine your healthcare business with agile digital solutions? Please share your experiences, comments and suggestions about how healthcare can leverage digital even further with us in the comments section below. Read this blog post to know how digital technology is revolutionizing every aspect of the healthcare sector.